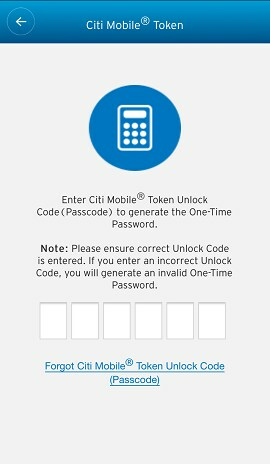 Open your Citi Mobile App and tap “Citi Mobile® Token” on the login screen. 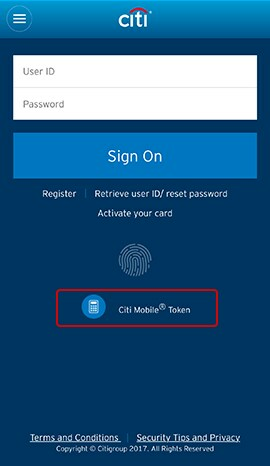 Enter your Citi Mobile® Token Unlock Code. 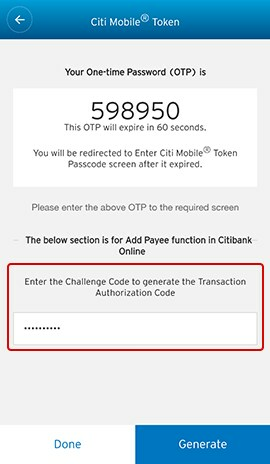 Enter the 10-digit Challenge Code from the Citibank Online Transaction Signing screen into the field at the bottom of screen in Citi Mobile® App and select “Proceed”. 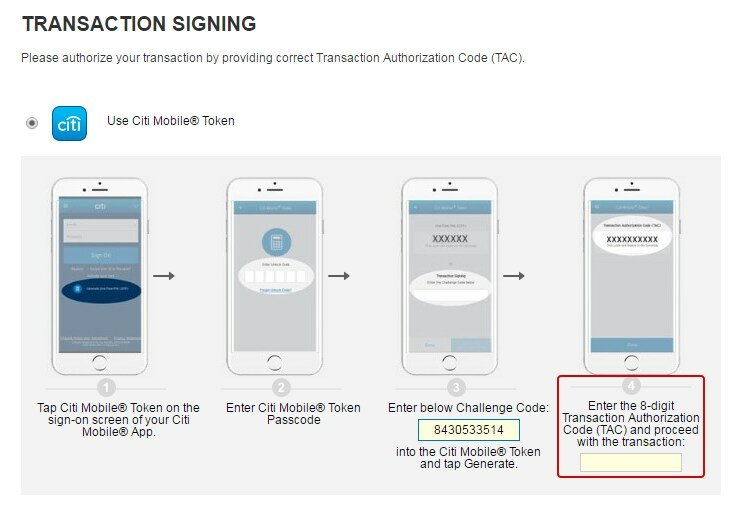 A Transaction Authorization Code (TAC) will be generated. 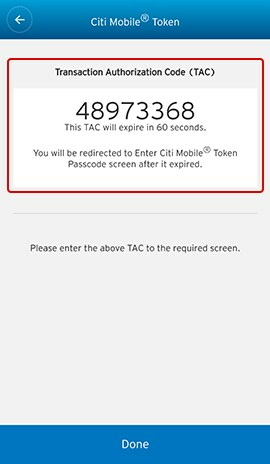 Enter the TAC on Citibank Online where required. Then select “Continue” to complete your transaction.